Imagine being blamed for someone's disappearance. What if that person really did not disappear? That is what happened in The London Eye Mystery. Now a brother and sister have to figure out what happened. Did he vanish into thin air? Did he go in disguise? Find out how they deal with this and if they find their cousin. Do you think they will? How would you feel if you were a thief and a wizard? The book I read was The Gray Wolf Throne. It had a lot of adventure, fantasy, and action. Han used to be a thief, but now he is a high class wizard. Amon’s dad was killed by several assassins and wizards, so now he must become the new captain of the queen’s guard. Raisa is going to become a queen, but is facing some obstacles. Her sister hates her, Micah is trying to kill her, and there are a lot of assassins and wizards sent by anominous tips. Han must protect Raisa and Amon so the balance of the Gray Wolf Throne is not broken. Han must show that he is the new Demon King to save the Gray Wolf Line. This story is fantasy. It is action packed and thrilling. It has very suspenseful moments like when Harry had his very first quidditch match and he pulls out of a very steep dive. Harry is very talented in many of the stunts that he pulls. In this book there is a very suspenseful moment when he was in the forbidden forest looking for a lost unicorn with his old pal, Hagrid. His uncle and aunt try to raise Harry as normally as possible since they know that his parents were wizards and witches. His uncle and aunt knew he would be one of them, too. Have you ever made a new year’s resolution? Well Joel made three one New Years night while he was in a graveyard. He thought he was old enough now that he needed to see a girl behind transparent veils. He tries so hard to do this and he finally lets destiny decide. Also Joel wanted to see the sea because his dad used to be a sailor. The final resolution Joel made that night in that dark and cold graveyard was that he wanted to get tougher. He had always wanted to live to be one-hundred years old, so he said if he was going to do that, he had to get tougher. 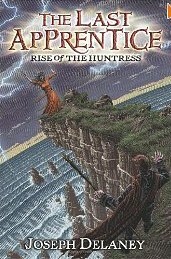 The genre of this book is adventure/survival. You are full of questions after everything the author tells you. I thought this book had a great lesson that should be remembered. This book showed how a teen has to go through many difficult changes in their life. I liked this book and if you decide this is one for you, I hope you will like it too. How would you feel if you were as small as an ant compared to the people around you, and they couldn’t succeed without you? That is exactly how Ty Lewis lived out his life as brother of a star football player, Tiger Lewis. Ty’s life takes a turn when he gets a chance to play in the Super Bowl! Tim Green has done it now. His book, Deep Zone has got what it takes to keep any reader wanting more. Imagine if people told you that the world is going to end and a big meteor was going to hit the moon. Would you believe them or not? It is up to you and your family to make a decision like that. Imagine if some people told you to evacuate immediately from your home, go somewhere else, and get as much food and water as possible. Would you follow and listen, or would you take the risk of staying at home? There was some people in the book that didn't evacuate out of their location, but some people did. What would you do if you were in a tough situation and you decided to stay behind? Imagine if there was food shortages, the power went out, there was harsh weather conditions, and no heat. What would you have done in order to survive? Imagine yourself living in the countryside with your family, and someone gets sick? What would you do? Would you go to town and try to get help, or would you try to find medicine on your own? Life As We Knew It was about an asteroid hitting the moon. It was interesting to me because I liked to know what kind of decisions people have made. I encourage you to read this book, if you like science fiction or survival books. reviewed by Tanner, 8th gr. Think about what it would be like playing for a chance at the Little League World Series. A boy name Josh had that chance. The book I read was called Best of the Best. I rated this book a four. This was a great and exciting story about a boy and his baseball team trying to make it to the Little League World Series. I think this would be a great book for people who like sports or reading sports fiction. 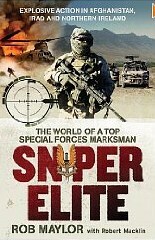 I also think this is a good book to read if you like realistic fiction. This book is action and adventure. I personally thought this was a great book. It used very good details and good describing words. The author, Tim Green, really helped the reader picture the setting and what was going on during the story. # of pages: 313 p.
When a person asks you what you would say if someone offered you drugs, you usually say, “No”. Mick Johnson is a regular teen except the fact that when he started walking his father taught him football. All he knew was football, football, football! So when football came around he wanted a starting position. He couldn't beat the guy holding that position, though. So he turned to steroids to get bigger, faster, and stronger. Then when he got the position he... yes you have to read the book to find out what happens. Gym Candy is great sports fiction book. If you are into sports, especially football, this is a great book to read. It has you in suspense until the end. I would rate Gym Candy a 4 just because personally I’m not a sports fiction type person but for the most part it was good. This book gives you a realistic picture of what peer pressure is like. I think all sporty kids would love this book because of the sports and reality of it. Do you like to read football books? If you do, Friday Night Lights is a good book for you. It is about a football crazy town called Odessa, which is located in the state of Texas. It talks about their 1988 season and about the town of Odessa and the people that live there. It is also nonfiction and talks about real people in the story. Even though this event took place in the year of 1988, most of the people in Odessa are still racist. The citizens in Odessa only saw minorities as a benefit to football and wouldn’t pay attention to them outside the football stadium. The author is very descriptive and grabs your attention right away. If you are a football fan, you will not be able to stop reading this true story. This book starts off with twins being born in a plane above Washington. The unusual thing about this birth is that the twins are biracial. Kierra was born black like her mother, and Minni was born white like her father. Their grandmother wants to enter them in the Miss Black Pear Teen Beauty Pageant. The girls’ have an inseparable relationship, but once they fly to their grandmother’s house, that relationship is put to the test. Will the twins survive their evil grandmother, being away from their parents, and being judged by strangers? Read this book to see how the girls deal with their struggles. 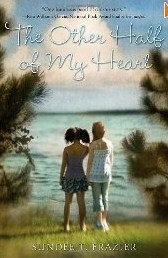 The Other Half of My Heart is a great book and will keep you wanting to turn every page. This book is a great read for teen girls who are looking for a funny, yet dramatic book. It is a touching story that will help you appreciate the gift of family. Could you imagine being put in an arena with 22 other people and having to kill all of them? Well that’s what Katniss Everdeen and Peeta Mallark both had to do. They lived in district 12 and were entered into the Hunger Games. Katniss’s sister, Primrose, was pulled from the reaping ball, but Katniss cared so much about her sister that she volunteered to go herself. When entered into the games your top priority was to live and be the last one standing. While on the train to the arena Peeta admited to being in love with Katniss, which made the games hard on both of them. 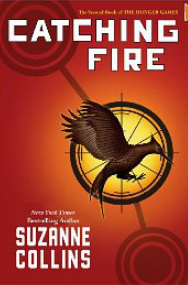 In the second book, Catching Fire, they are entered into the arena for a second time, but when they go in this time they are engaged. To cause more drama, Peeta tells everyone that Katniss is pregnant. The only reason they were entered into the games for a second time is because it was the quarter quell. The quarter quell only comes up once every six years and is a special addition to the games. Going through the games Katniss realizes that President Snow intentionally pulled out the card for a re-entering of the latest victors because Katniss had out-smarted him and the capitol. The second book is filled with many things that you would never expect and is a very good book. What I Call Life is a book about a girl named Cal. She got taken away from her mom and was taken to a foster home. Cal had no doubt about it, her mom was going to come back for her. She had a hard time at first and was always saying her mom was coming for her. Her mom never ended up coming after awhile. Cal asked her social worker why and she said she can’t until she gets everything taken care of. Cal was a little disappointed at hearing that. Then she went back to thinking she would. What I Call Life is a good book that girls would really enjoy. 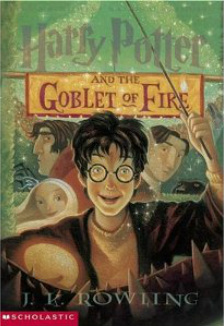 Harry Potter and the Goblet of Fire was an intense book. The book had many ups and downs and twists and turns. This book was my favorite until I read the next one. You may want to read the first books in the series to understand. 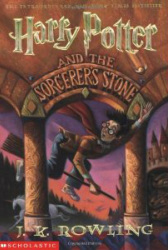 The book featured a boy named Harry Potter. He lived with his aunt and ancle, and they hated him. He also had a cousin named Dudley that was fat and a bully. Harry was a wizard and went to a wizardry school named Hogwarts. He was popular to most, but he had a rivalry with another boy named Draco Malfoy. Those two go at it all the time and are always showing hatred towards each other. Harry also had two best friends named Hermoine and Ron. The ending was amazing and suspenseful, but you must find out on your own. This is a must READ! Do you believe in God like Cassie? Would you risk standing up for something you believe in? It was just a normal day at Columbine High. School had started like any other day. Some kids were getting ready to take a test, while others were having lunch. Nobody thought that two kids could do such damage. The damage not only affected Columbine, it affected many other states. Everyone gets a little emotional while reading this book. This is the best nonfiction book I have ever read. This book will end up being life changing. It is a must read for kids ages 13 and up. Matthew Freeman can not get his life on track. He was put on a bus and was forced to work for his new guardian, Mrs. Deverill. Follow Matt through the depths of destruction, and to the edge of sanity. He has to find a way to escape the odd little town of Lesser Malling. Matt finds documents that lead back to his childhood in Mrs. Deverill’s room. He then teams up with a journalist that knows people who Matt can get information from. This action-packed story will keep you guessing until the end. Have you ever had to make the decision of a lifetime? Well, that’s what it was like for Jane and Wilson. They had some choices to make about how they wanted to live their life. When they decided to get married you’d think that it would be a simple plan. That’s what Jane thought anyway, until her family started falling apart, right before her eyes. This book will leave you guessing. When you start this book you will think about what you got yourself into, then when you're done, you will know. You will always find this book in your hands. Some parts leave tears in your eyes and others leave balled-up fists. You will feel a range of emotions while your mind sorts through this book. 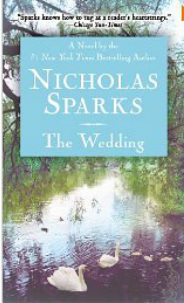 Nicholas Sparks really knows how to grab your attention. Once you read this book you're not going to be able to stop, but that is definitely not a bad thing. Jason Grace is an ordinary teen, who happens to be the son of Zeus, the God of the Sky. Jason, along with his friends Piper, Leo, and a dragon named Happy, go on an adventure to save Hera, the Mother of the Gods.On the way they run into vicious wolves, a terrifying winter god, Giant Cyclopes, and a pack of talking wolves. Jason doesn’t remember his past and one famous camper named Percy Jackson has gone missing. 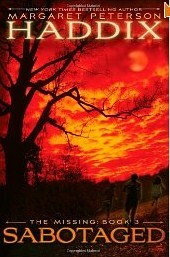 Jason and his friends must find out where he is and fast before the winter solstice. Will they find Piper’s dad? Will Jason get his memory back? Will they figure out where Percy Jackson is? 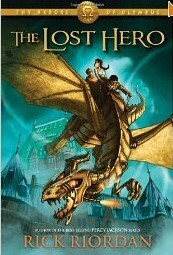 Find out by reading this exciting Rick Riordan book! This is a touching story and a realization of a young child's faith. A young boy sick and on his death bed, awaits a life-changing experience. Colton is a five year old boy teaching others about God, Jesus, and the Holy Spirit. Colton has seen, talked, hugged, listened, and so much more to God at the age of five. Colton got the chance to talk to his grandpa, who died before he was born, and his sister whom he had never met. He didn’t even know he had another sister! Colton showed his parents, Sonja and Todd, what God and Jesus looked like. Colton talked about how he got to sit on God’s lap, and learn from him. Colton yelled at a funeral that the man had to love God, and that Jesus loved all the kids no matter what. A remarkable and touching story. Reading Heaven is For Real is truly a life changing experience, and most of all it’s a realization of how lucky we are to be healthy! What if you thought about going back in time? Well, Jonah, Katrine, and Andrea got to go back in time. Jonah and Katrine returned lost children from time back to their original time periods. In this book they took a girl back to the lost Colony of Roanoke. This girl was stolen out of time. She lost everything at this point. They were looking for a man named John White. They went back and they found a man floating in the water. Is this John White, the man that they were looking for? Jonah and Andrea now saw two Indian boys carrying the man back to the village.They grabbed the man and took him back to the lost village and followed the Indian boys. They were taken into a hut in the village where the Indian boys brought this man’s tracer. The next morning they took the man to the shore where they got him in a canoe and took him to another island. Rob Maylor, a man from New Zealand, shares his stories about traveling from country to country to serve the Royal Marines, SAS, and the Australian Service. Listen to first hand experiences that you may never hear again, and if you do it will never be told by a American Troops. Look at pictures of him and his Army buddies as they show you what its like in Afghanistan during the time of the Taliban. # of pages: 436 pg. How would you like to be a kid whose job is one of the most dangerous? That’s what Tom Ward has. He fights evil creatures of the dark and malevolent witches. The worst creature he has ever faced, and is still fighting, is the Fiend. He is the devil. Literally. The Fiend is out to get Tom Ward to either kill him, or turn him over to the dark side. That’s just on of the many problems that Tom faces. From book one all the way to the end of the series, you are on the edge of your seat wondering what will happen next. 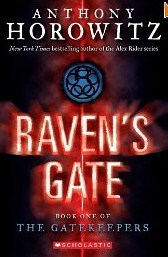 This series is definitely the best series I have ever read. What is the worst case scenario you can think of for being in the Air Force? Well, Scott O’Grady was in the worst scenario I can even imagine! While doing a flight over Siberia, his F-16 airplane got shot down by the Serbian Army. After just 3 days in the wild, he is feeling sick and weak. He cannot find his way out of Serbia and is surrounded by many other people who are looking for him. His friends send search teams out for days and days but cannot find him. He is in a life or death situation and is in stress. He has not eaten for at least four days, and cannot find clean and healthy water. He has also not spoken to a single person for at least five days because his radio will not work. Will he be able to survive this life or death situation, or will he die? Syvia is around five years old when her family has to move to the ghetto in Poland. She finds little food, and her sister has to lie about her age so she can work to get more money. As the years go by the Nazis make new laws after new laws. You will read about a family risking everything to survive. They go through many tough challenges; you won’t be able to put the book down, you'll want to see if they survive. A sneak peek at one of the challenges is when the law of no children came out and the Nazis searched everywhere and took all the children. Will Syvia be taken or will they hide her good enough? Will anyone survive the ghetto?